Even the worst critics of the BJP government cannot find fault with its commitment to build a strong military. But having a political ambition is one thing and translating it into a vision, policy and strategy for execution is another. And on the latter, the Narendra Modi government has miserably failed. While union minister Piyush Goyal said the defence budget has crossed Rs 3 lakh crore for the first time, the allocation is still inadequate to meet the requirement of defence modernisation. Here’s how the numbers stack up. Of the Rs 4.31 lakh crore allocated to the ministry in the interim budget 2019-20, Rs 1.12 lakh crore is earmarked for pensions. The net defence budget, therefore, stands at Rs 3.189 lakh crore. And out of this, Rs 1.08 crore is allocated for capital expenditure, which includes expenditure on modernisation. This is a marginal increase from last budget’s allocation of Rs 99.536.86 crore for capital expenditure. The amount is inadequate to cater to existing liabilities let alone purchase new equipment. The Standing Committee on Defence (2017-2018) in its report tabled in Parliament in January highlighted that the budgetary allocation had not been enough for the Indian Army’s modernisation programme to equip itself for a ‘two-front war’. The deposition of the vice chief of Army Staff before a parliamentary panel in March last year exposed the state of modernisation in defence. To add to this, the Defence Acquisition Council (DAC) has approved projects worth Rs 1 lakh crore in the last one year, and the payment for the Rafale jets will start in 2019-2020. Unless the capital budget increases, these projects will get delayed by years. The situation is bizarre. The capital expenditure allocation for defence in 2019-20 is one-third of the national capital expenditure and yet it is inadequate for modernisation of the armed forces. Either the defence budget has to be increased or the size, structures/organisations and equipment of the armed forces have to be optimised. And, this is only part of the problem. The bigger problem is how our higher defence management is ‘arming without aiming’ due to lack of a coherent National Security Strategy, as argued by Stephen Cohen and Sunil Dasgupta in their book Arming without Aiming – India’s Military Modernisation. No reforms have been initiated in the areas of higher defence management and restructuring and modernisation of the armed forces. The huge gap in defence capability with respect to China forced us to cease being a challenger and seek accommodation at Wuhan. Our conventional edge over Pakistan has declined to a virtual parity, allowing it to continue with ‘business as usual’ in Jammu and Kashmir. It is not just the BJP, but every government in the last two decades has followed a similar nebulous defence policy. The reforms post-1962 were a compulsion brought about by a catastrophic defeat. Those reforms ensured that we won the greatest victory in a thousand years in 1971. In the 1980s, the methodical General K.V. Krishna Rao and later the brilliant General K. Sundarji, and equally competent chiefs of other services, took the bit in their mouth and carried out internal reforms to modernise the armed forces with medium-level technology that made India capable of fighting wars in the last century. Governments at that time ensured that the defence budget did not fall below 2.5 to 3 per cent of the GDP. Since then, defence technology has taken a quantum leap and the pattern of warfare has undergone a sea change. Nuclear weapons have ensured that full-scale wars are passé. In the Indian context, due to unsettled borders, future conflicts will be in the form of intense limited wars of short durations apart from the ongoing proxy war in Jammu and Kashmir and other insurgencies. For this, we need smaller and agile armed forces, equipped with state-of-the-art technology. What we instead have are elephantine armed forces with ageing equipment. Further, our armed forces are fighting a fourth-generation war for the last three decades, but are training for a full-scale third-generation war, with structures/organisations and a mindset best suited for a second-generation war. There is no dearth of competent advice. Kargil committee report, Group of Ministers’ report, the Naresh Chandra committee report and numerous internal studies carried out by the armed forces have spelt out the reforms that are necessary. This government followed these up with the Shekatkar committee and National Security Advisory Board reports. What we lack is a political will to execute these recommendations. 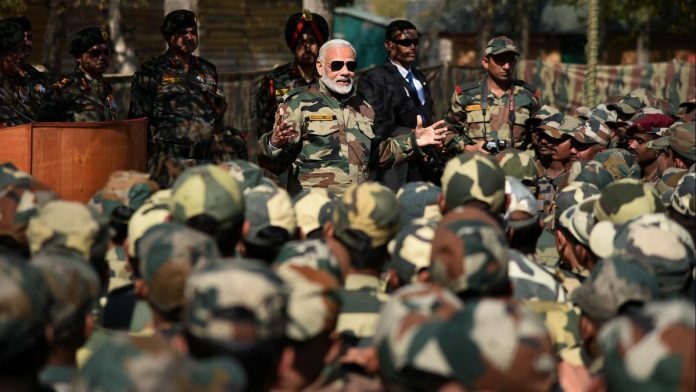 This is the biggest disappointment with Prime Minister Narendra Modi, who has been high on emotions and low on substance on military matters in the last five years. The reforms required are not rocket science and can be easily implemented with resolute political will. A strategic review will pave the way for a formal National Security Strategy, which must be approved by Parliament through a national consensus. The strategic review will also offer an estimation of financial resources available for the next few decades. Based on national security needs, one can then decide which threats can be dealt militarily and which ones should be handled diplomatically or through alliances. This will help us decide the optimal size and quality for the armed forces. This should be formalised as a Force Development Strategy with committed financial backing. This is a top-down process in concept and bottom-up in execution. Needless to mention that the process includes reforms in strategic decision-making, functioning of National Security Council, integration of the three services under a Chief of Defence Staff, and restructuring/reorganisation of the armed forces. Notable exceptions notwithstanding, it is empirical wisdom that armed forces rarely reform themselves. The transformation process has to be government-owned and government-led. It is also important that the government achieves political consensus on national security matters. The nation cannot wait for a military embarrassment to get out of inertia. Modi hands are tied with socialism hence he can’t afford to spend on defence. India will forever be cursed with socialism, this is bitter truth. If soldiers protest like farmers and reservation fanatics, then we may get a little more defence budget. It would have helped to have had a Raksha Mantri of the calibre and stature of Y B Chavan.